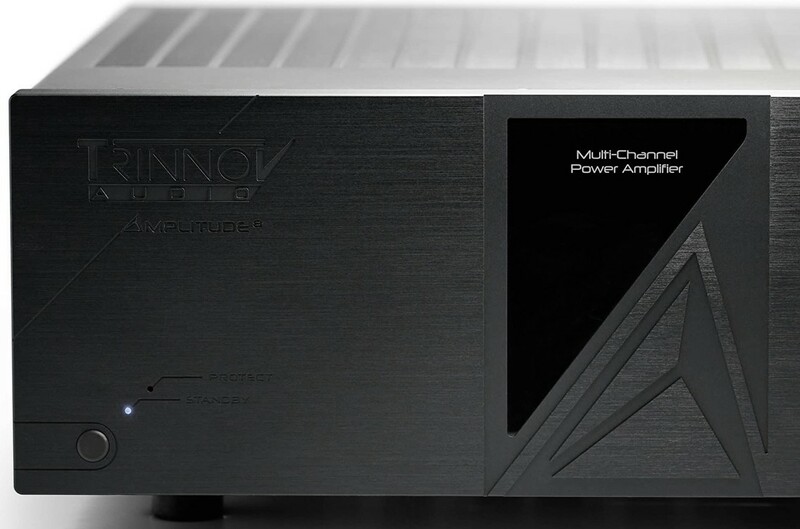 Amplitude8m 8-channel class D power amp designed to match both the look and performance of your Altitude16 AV preamp. - Crosstalk: lower than -90dB. 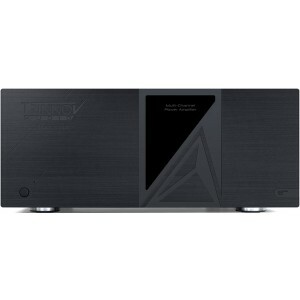 Trinnov Amplitude 8m Eight Channel Class D Power Amplifier faithfully replicates all immersive audio formats in the entirity. A perfect companion to the brand new Altitude16, this amplifier is made to facilitate the stringent demands of discerning audiophiles bringing smart power and pristine audio quality at a low price point without any compromise in terms of design and build quality. Like the Amplitude8, the 8m features the industry's lowest-distortion and noise specifications to date. The importance of this trait cannot be over-estimated in a theatre that may contain twenty or thirty speakers in a single room. If each of those speakers were producing even a small amount of noise, it would rapidly become noticeable and disruptive. This scenario never arises with The Amplitude8m. Trinnov amplifiers use microprocessor control for turn-on delay and feature an automatic AC power recognition and configuration system. The amplifiers not only recognise whether they are hooked up to 117V or 230V nominal power, they automatically self-configure. Experience audiophile-grade sound reproduction in your home theatre with zero background noise during the most quiet scenes of the movie. You also get the finest sound quality and realism on music and movies alike, even at high volumes. The Amplitude8m incorporates a new "sleep" circuit. When the amplifier stays idle for longer than 10 minutes, power is removed from the output modules and a front-panel LED begins to flash. As soon as an input signal is detected again on any channel, normal playback operation resumes instantly.